Which one would you recommend me please? Got a 30L pack and I'm trying to go as light as I can...food & water will take most of the weight as it's going to be a hot location and a long hike (near 40k divided by 2 days). Not taking any spare clothing to reduce weight. Will use a light bivvy bag for the night. Slightly cheaper and a tad lighter. Unless you are big/heavy, the S2S are great but if its hot, the only reason I would buy the insulated version is to future proof for upcomming adventures. 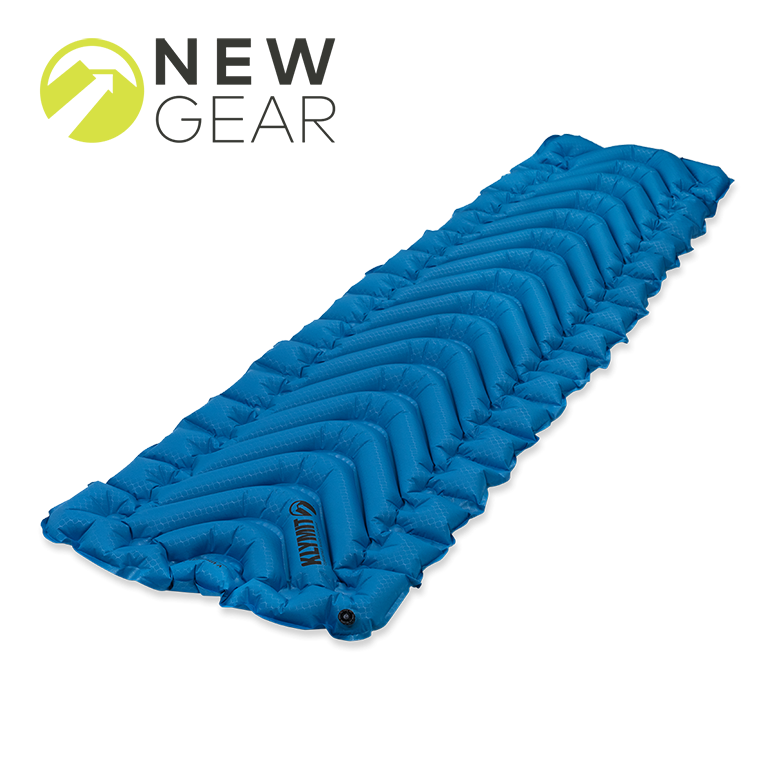 Another option I was thinking of is a Thermarest Z lite SOL with the added bonus that make great sitting pads especially during a meal break. No inflatables have this ability. How easy do they pack/attach to a 30L pack? Huge Zlite fan here. I can pack it in to my 30L with about 4 days of food and everything else. Great pad. Zapruda wrote: Huge Zlite fan here. I can pack it in to my 30L with about 4 days of food and everything else. Great pad. Great find. Another good option thanks. I put the pad in the dehydrator before the walk and just rehydrate it camp. That makes sense, the pad divided by 2 so it takes less volume as you spread it out. Thanks I'll do likewise and get a regular or S size; need to go to the shop with my pack and tinker a bit with it. They guys at K2 in Brisbane won't mind, they are very helpful. Will probably purchase this pad as the "sitting factor" is a must for me. I’d personally rather take a Thermarest NeoAir XLite in small torso length - approx 250 grams. And then also take a Thermarest Z-Seat at 60 grams, or alternatively 3 or 4 sections of Zlite. Each section of Zlite is about 27 grams. Then you can sleep on the torso length inflatable NeoAir, and use the Zlite sections for your legs to sleep on, but also use the Zlite sections as a sit pad. I’d likely go 4x sections if I was going to do that which should fit nicely as pack panel of backpack and provide frame if you’re going frameless. Although I personally have 3 sections of Zlite as my sit pad and also doubles as a support base for my Helinix Zero chair when I’m lightweight glamping. A zlite on hardpack dirt or a tent platform isn’t going to be very comfortable but on snow grass or tussock it is heavenly. Thin mats work really well for me. No sensation of rolling off or sliding down. Nice and grippy. But of course, like anything, personal preferences and comfort win out. Hey, Gbagua, don't want to interfere with your search for lighter gear, but for the hike you've described I wouldn't worry too much about a few extra grams. You say that you're doing 40 km over two days or 20 km per day. That's only around 5 hours walking. Even if your heavier pack slows you down by 10%, you're still only talking about 5.5 hours. Given there's around 13 hours of sunlight at the moment, you've got plenty of time. Of course, there are lots of benefits to lighter gear, however for the walk you're describing, it may be worth taking a heavier sleeping mat and getting better sleep. Of course, if you're walking up and down mountains then the above doesn't apply. Hey ZaprudaS what's the width of front and back panels on the V2 at the point where the shoulder straps at the top contact the body of the sack? Is the girth (never been able to find the girth figures top and bottom)at the top so distinctly different from the bottom as some pics suggest? Carrying snakes in the bottom packet by any chance? Lolly snakes obviously, keep those Tigers out! ChrisJHC wrote: You say that you're doing 40 km over two days or 20 km per day. That's only around 5 hours walking. Not all walks are made equal. Depending on the scrub, scrambling, elevation, navigational challenges and lack of track you could be doing 1km or 2km an hour. Last edited by Zapruda on Tue 18 Dec, 2018 6:45 am, edited 2 times in total. Lamont wrote: Hey ZaprudaS what's the width of front and back panels on the V2 at the point where the shoulder straps at the top contact the body of the sack? Is the girth (never been able to find the girth figures top and bottom)at the top so distinctly different from the bottom as some pics suggest? Carrying snakes in the bottom packet by any chance? Lolly snakes obviously, keep those Tigers out! Hey Lamont! Ill measure it tonight or tomorrow. It definitely does taper. I am not sure what the logic is but I find it very comfortable and the balance of the pack is great. No snakes but lots of pecorino and finocchiona. Yum! ChrisJHC wrote: You say that you're doing 40 km over two days or 20 km per day. ...Or walking on the challenging terrain of Sundown NP. What our party is doing involves: zero tracks, rock hopping, scrambling, canyoning, route finding & scrub bushing in parts and with QLD's summer heat and humidity already in place. One of Australia's premier hiking spots, and from what I read it is a very difficult, tough but also very rewarding hike. I need a sitting device for lunch and drink breaks, to me this is a must: the Z Lite is like 2 in 1. True is it as comfortable as an inflatable but it doesn't worry me too much. Ended up pulling the trigger for this one instead. I wasn't quite sure about not getting enough sleep because of the Thermarest Z LIte being too hard on a tired body, lol. I got a lovely sleep night using the Venture pad last Sat. in a hike to Sundown after a gruelling hot day. Highly recommended. Thanks fellas. I just bought the Klymit one I linked, couldn't resist for $142 posted and it will free up some space in my bike bag. My S2S one is a rectangle and I wanted something with a taper as I thought it may help keep the feet a bit warmer when using my quilt. Everybody's comfort levels are different - especially my +1s! I'm middle-age male, 179cm/81kgs and I'm very happy with my ThermaRest NeoAir XLite (half inflated) at only 215gm for 3 seasons use - short 120cm length and packs up really small. (Then again I'd be just happy with an old piece of thin foam on the ground) The UberLite is coming out soon at a mere ~170gm! Ye-gads! In the past I've patiently tried the VERY heavy ExPeds mats but after 3 ExPeds in a short space of time - they've all failed me. Junk.